Get ready for your USMLE Step 2 exams! Dr. Veronica Gillispie is Clerkship Director for Obstetrics and Gynecology at the Ochsner Clinical School. She is an expert in preparing medical students for their USMLE Step 2 exam and will make sure you understand the relevant topics of postpartum care. This includes the APGAR Score, which was developed to determine the need for resuscitation of a newborn. Clinical Pearls and medical mnemonics offer plenty of high-yield information dedicated to postpartum care. Furthermore, you can explore topic reviews, quizzes and downloadable material. Together, these ensure that you are well prepared to solve clinical vignettes and your USMLE Step 2 exam. Human breast milk is the primary source of nutrition for the newborn, which can solely fulfill the nutrient requirements up to six months of age. When a woman conceives, several physiological changes occur in her body under the influence of hormones. One of them is the development of breasts and the production of milk. Several hormones play a role in this process. The hypothalamus secretes stimulatory or inhibitory factor, the pituitary gland secretes prolactin and oxytocin, while the placenta keeps a regulated level of estrogen and progesterone in the blood by producing these hormones. Other hormones, as mentioned in the text, are also essential for the production of milk as they are required for the provision of the basic nutrient components of the milk. 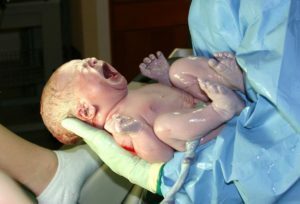 APGAR score is a standard tool for the assessment of newborn babies. APGAR is an acronym for Appearance, Pulse, Grimace, Activity, Respiration. It is a short test performed at 1 and 5 minutes after the baby’s birth that is done to determine the need for breathing aid and any heart trouble the newborn might be experiencing. 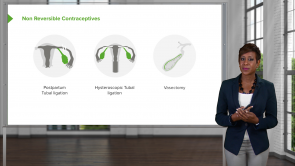 The selection of contraceptives is a personal choice, but the physician should provide information to the patient regarding the optimal contraception. 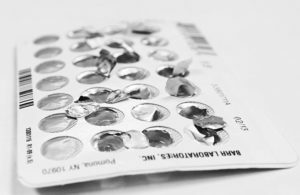 The postpartum period is an ideal time to initiate contraception as women are continuing to follow up with their healthcare providers, and are likely to be more motivated to avoid the next pregnancy soon. Pregnancy is a time of emotional upheaval for every woman. 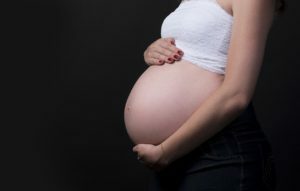 Besides environmental stressors, there are significant hormonal changes during and after pregnancy that put a woman at risk for several psychiatric disorders. Up to 80% of women will have the baby blues after giving birth. 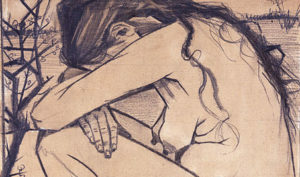 20% of women will have postpartum depression and one in a thousand will have postpartum psychosis. In this course, we will discuss the baby blues, postpartum depression and postpartum psychosis. Hyperemesis gravidarum is defined as severe, persistent nausea and vomiting during pregnancy leading to dehydration, electrolyte imbalance, ketosis, loss of more than 5% pre-pregnancy weight and can even result in mortality. Dr. Veronica Gillispie is the Clerkship Director for Obstetrics and Gynecology for the Ochsner Clinical School at the University of Queensland, Australia. She is responsible for curriculum development and preparing her students for USMLE Step 2. Her teaching has been described by her students as relatable. She makes complicated topics easy to understand. She is really amazing! I have been learning a lot. Thanks Dra. Veronica Gillispie.